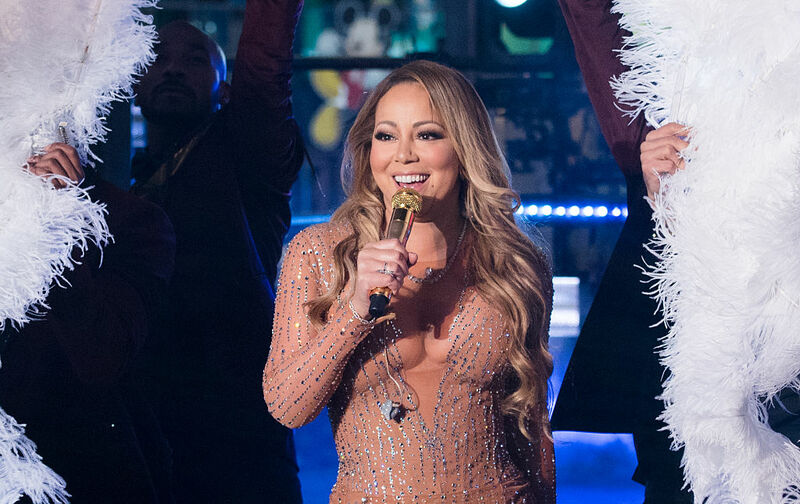 Although the chatter surrounding her disastrous New Year’s Eve performance seemingly refuses to die down, Mariah Carey has left the dreaded incident in a cloud of glittery, butterfly-filled dust. As every diva knows, the show must go on. As Us Weekly reports, Carey performed at a wedding in London over the weekend, and based on the footage floating around social media, the Mariah’s World star put on a flawless show alongside Elton John, who was also on hand to bless the lucky bride with 12 of his classic hits. According to the Mirror, Carey and John were paid a little over $4 million to perform at the wedding of 19-year-old bride Irene Kogan and her husband Daniel Kevey. Kogan’s grandfather Valery owns Moscow’s Domodedovo Airport. Recently, Carey announced a social media break to move on from the NYE debacle and prepare for her upcoming tour, but considering the fact that she just earned millions in a matter of hours as possibly the glitziest wedding singer ever, staying off social media clearly won’t spare her from the spotlight. In addition to Carey and John taking the stage, DJ Mark Ronson was also on hand to spin records at the lavish affair, while Antonio Banderas delivered a wedding speech to the newlywed couple. But back to Mimi, guys. We continue to marvel at how she’s moved on from the NYE performance with ease. Although she promised fans that she would fully address the situation “in time,” we think she should allow all the hard work she continues to put in to speak for itself.